This post was sponsored by Aflac as part of an Influencer Activation for Influence Central, and all opinions expressed in my post are my own. 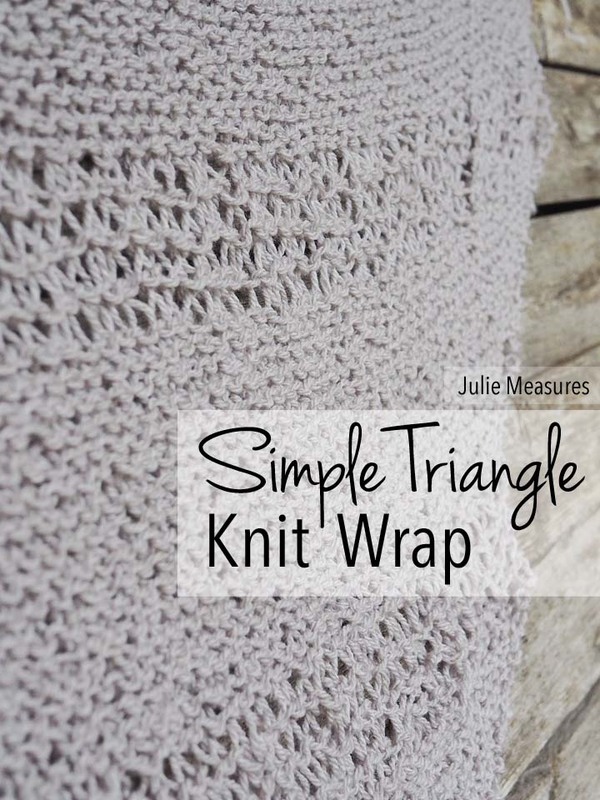 Create a beautiful soft triangle wrap with this easy knit free pattern. It was a Sunday morning. My mom told us that she felt a lump in her leg. She went to an urgent care doctor. From there, it was a few weeks of waiting, tests and not knowing. Finally we found out that it was a rare form of skin cancer. 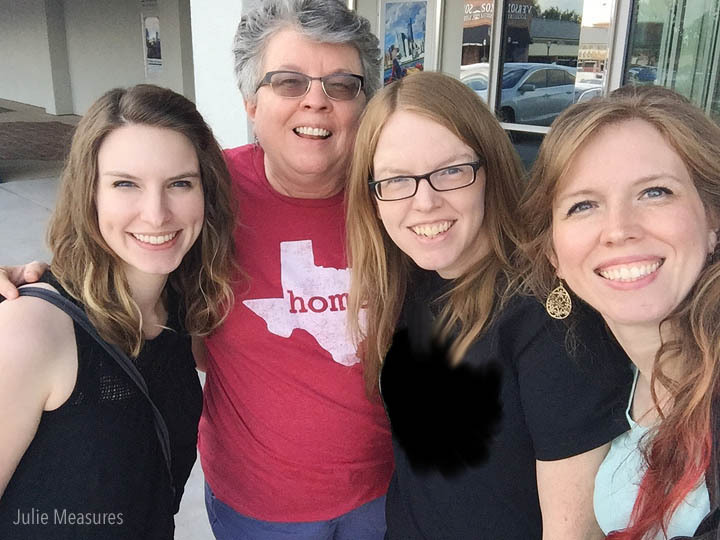 My mom, sisters and I all have fair skin. Most of us have at least a little red in our hair and freckles. Skin cancer is something we have been trained to look for. 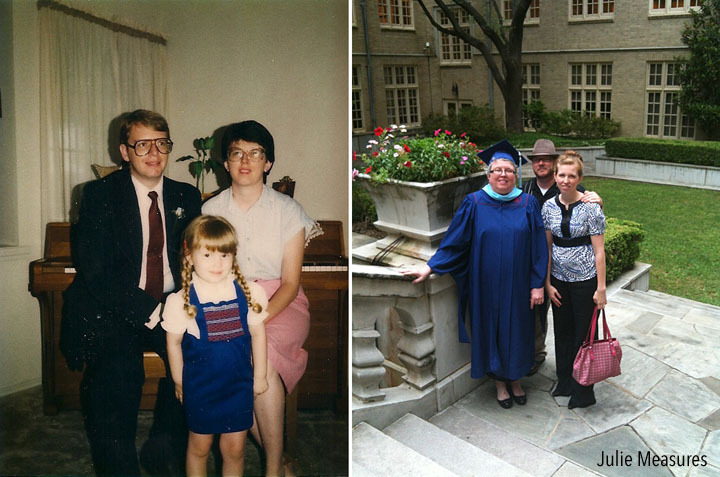 But before my mom’s diagnosis, I would have never connected a lump to skin cancer. My mom has always been my biggest supporter. She cheers on all of my creative endeavors, including my knitting and crocheting. She is a champion for learning and education. She loves to take my kids on vacations where they learn something. Having my mom call and tell me that she had cancer was a phone call I don’t think I’ll ever forget. It’s also a call that a lot of families will face, as 1 in 2 men and 1 in 3 women will get cancer in their lifetimes (Cancer Facts and Figures,” American Cancer Society, 2017). The lump actually turned out to be quite a blessing. 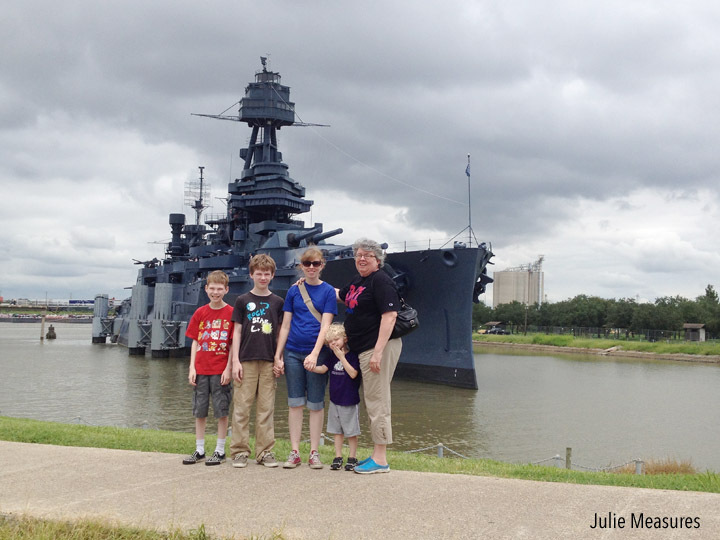 While undergoing scans prior to surgery, her doctors found an additional cancer diagnosis. This time on her kidney. 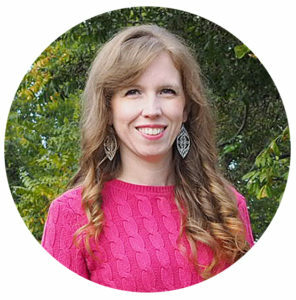 It’s likely she wouldn’t have experienced complications from the kidney cancer until much later. Instead, they were able to catch it early. Cancer can be overwhelming. My mom’s diagnosis was late last spring, and she spent all summer undergoing surgeries and radiation treatments. Seeing what my mom went through has made preparing for cancer something I think about a lot more often now. Aflac’s Cancer Protection Assurance* insurance policy helps provide financial footing to cancer victims and their families throughout the process. In fact, Aflac’s Cancer Protection Assurance offers end-to-end care and supports from detection, through treatment, all the way to recovery. It helps provide financial footing to cancer victims and their families throughout the process. Additionally, policyholders have access to CancerCare, which provides emotional support from oncology social workers, support groups and online tools. As a knitter and crocheter, I have met a lot of people who have used my patterns as gifts for friends and family members undergoing cancer. Having a soft hat to wear or something to wrap around yourself becomes a comfort and warmth. They also make a heartfelt gift. These triangle wraps have become one of my favorite things to make. You can use them as a shawl, scarf or a wrap. 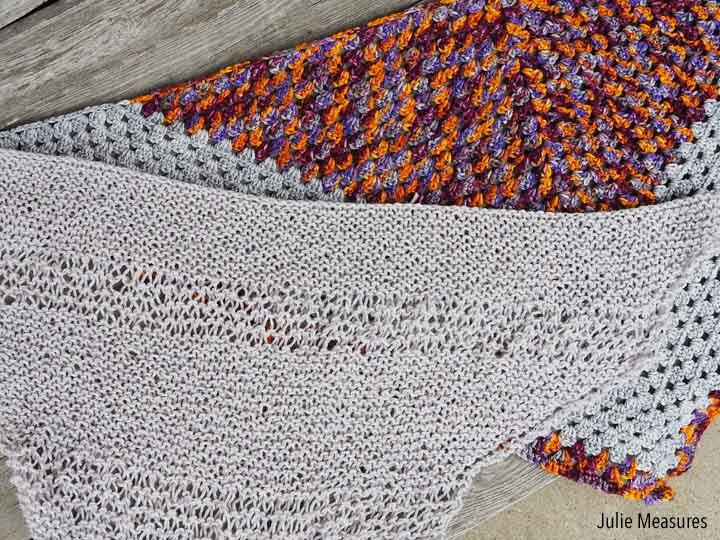 And the pattern is a simple repeat, which makes it a great traveling project and gives you the freedom to make the wrap in the size you need. 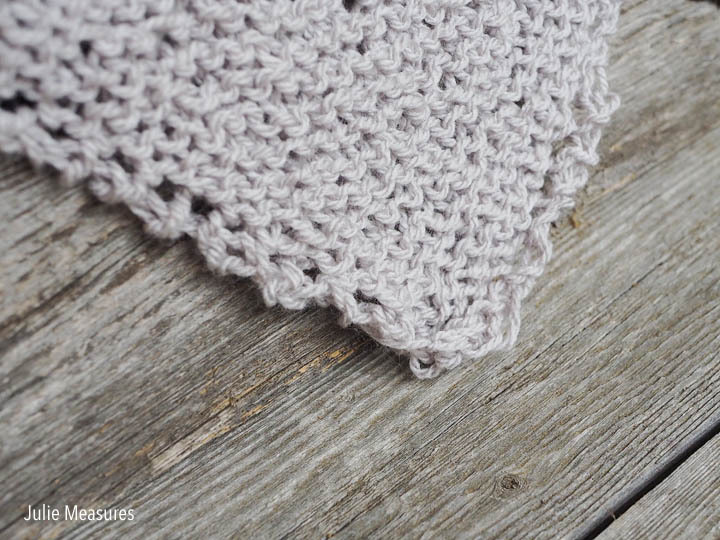 For my knit wrap, I used a soft, lightweight wool. Something that would feel light to wear but could also give some warmth. 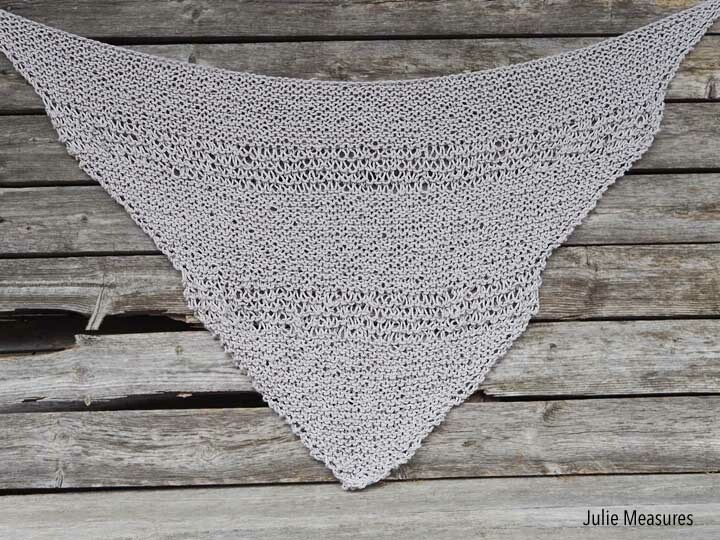 Repeat row 5 until the shawl measures approximately 6” inches. Drop Stitch Row 1: Insert working needle into 1st stitch knit wise. Wrap yarn around needle two times and then pull yarn through as if to knit. Repeat this with each stitch across the row. Drop Stitch Row 2: Knit the 1st knit stitch and slide the yarn overs off the needle. Repeat this with each stitch across the row. Repeat Drop Stitch Rows 1 & 2 four times. Continue repeating these two sections until the wrap is as large as you’d like! 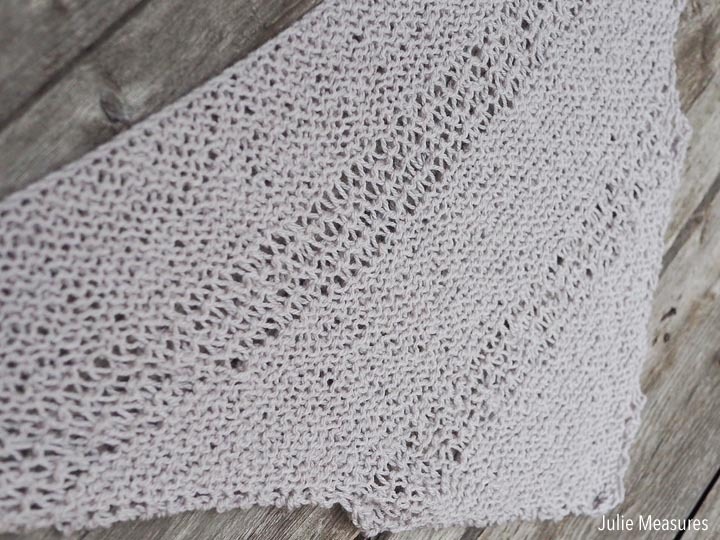 This quick knit shawl is a simple to make! Create them in several colors to keep and give away. *Aflac Cancer Protection Assurance is a cancer/specified-disease insurance policy. In Oklahoma, Policies B70100OK, B70200OK, B70300OK, B7010EPOK and B7020EPOK. Policy may not be available in all states including but not limited to Idaho, New Jersey and Virginia. The policy has limitations and exclusions that may affect benefits payable. Refer to the policy for complete details, limitations, and exclusions. For costs and complete details of the coverage, please contact your local Aflac agent. Coverage is underwritten by American Family Life Assurance Company of Columbus. WWHQ | 1932 Wynnton Road | Columbus, GA 31999.